Cities, townships and counties coordinating economic development is not new. Most states can point to a regional economic development approach. A new future economic development opportunity lies in the development of multi-state regional economic development initiatives. State governments’ spend much of their time competing with each other for economic development projects. The reality is states have much to gain from working in cooperation instead of competition. Cooperation could take the form of jointly submitting corporate site location requests, to developing a common array of tax incentives, to jointly developing innovation-based initiatives that set industry priorities for each state to ensure that cooperation wins over competition. Far more major metro areas have privatized the economic development function than state governments. Major metro regional economic development programs are led by the private sector and funded with both public and private sector funds. Privatizing local economic development forces local governments to work collectively. A private sector group can coordinate the retention and attraction of jobs for a region. It does not gain or lose tax dollars like a city does when a company decides to locate in a specific place. Critics of privatizing local economic development argue that local governments have their own set of powers as political subdivisions and their approval of tax incentives and other functions can only be played by the actual local governments. States looking for inter-state coordination should look at the model of cities forming regional organizations to coordinate economic development. Charlotte, North Carolina is an early adopter of a private sector, regional economic development organization. The Charlotte Regional Partnership is a nonprofit, public/private economic development organization serving a 16-county region. This effort includes 12 counties in North Carolina and four counties in neighboring South Carolina. This private sector regional economic development group serves communities in different states because that is the natural shape of their market. They are funded by public and private sector dollars and elected officials are not in charge of the organization. Multi-state economic development cooperation can begin with a project, like the widening of the Panama Canal. Like most nearly 100-year-old transportation networks, the Panama Canal needs an update. The current widening of the canal allows it to carry larger container ships and enables East Coast harbors to become major logistics hubs in competition with major West Coast ports. The challenge is only a few of the East Coast ports were built deep enough to hold today’s massive cargo ships. These harbors are all in a battle to dredge their facilities to prepare for the larger cargo ships in the hopes of becoming the logistics center for the east, south and possibly the midwest. An ongoing debate in Georgia offers an interesting opportunity for multi-state cooperation and economic development success. The Port of Savannah faces a $625 million price tag to redevelop their harbor, ensuring its water depth is able to serve the larger container ships that will pass through the Panama Canal. Savannah is competing with Norfolk (who has a port already deep enough), Charleston, Miami and Jacksonville. Some suggest that instead all these ports should join together in some way to develop a multi-state, global logistics center that can effectively compete against West Coast ports. 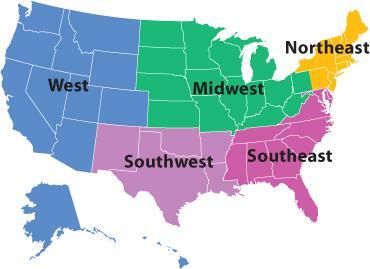 A multi-state strategy would make a stronger competitive case through the use of an effective rail and trucking network that all these ports can benefit from instead of attempting to compete singularly with West Coast rivals. Author: David J. Robinson is principal of The Montrose Group, LLC, a Columbus, Ohio-based business consulting that has gained over $100 million for public and private clients. Robinson is the author of Economic Development from the State & Local Perspective and serves an adjunct professor at the Ohio State University’s Glenn School of Public Affairs. Regional cooperation would help establish the economic scale needed to support innovation in highly capital-intensive transportation systems. Great Article–Yet the competition for revenue and the very local political necessity to show progress still forms the basis for resisting governmental cooperation.